In late September, former President Bill Clinton made the outrageous assertion that the absence of Arab-Israeli peace is primarily the fault of Israeli Prime Minister Netanyahu. While focusing his attack on Netanyahu and insisting other Israeli prime ministers were more prepared for peace, Clinton’s declaration - and additional, related, claims indicting elements of the Israeli population - are, in fact, a defamatory hit on the Jewish state. This is most obvious in his exonerating Palestinian leaders from any responsibility for the absence of peace. On the contrary, he characterizes Palestinian president Abbas and his government as prepared to establish a genuine peace and only lacking an Israeli partner. Clinton is silent on Abbas’ refusal to recognize Israel as the national home of the Jewish people - even as Netanyahu has explicitly stated his preparedness to see a Palestinian Arab state created alongside Israel. Clinton is silent about Abbas’ repeated praise of Palestinian suicide bombers and other mass murderers of Israelis and his holding them up as role models for all Palestinians. Clinton says nothing of Abbas and the Palestinian Authority’s persistent use of their media, mosques and schools to deny any Jewish connection to the land between the Jordan River and the Mediterranean, to insist that the Jews are merely usurpers who have no legitimate claim to a presence in any part of "Palestine," and to urge Palestinians to dedicate themselves to Israel’s destruction. Clinton ignores Abbas’s insistence that he and his government will never give up the so-called "right of return," the flooding of Israel with descendants of refugees from the 1947-48 war and transformation of Israel into yet another Arab Muslim state. So determined is Clinton to close his ears and eyes to Palestinian declarations and actions and his mind to Palestinian intentions that he actually states at one point in his September screed: "For reasons that even after all these years I still don’t know for sure, Arafat turned down the deal I put together [in 2000 at Camp David and subsequent meetings] that [then prime minister] Barak accepted." Of course, it’s obvious why Arafat turned down the Camp David proposals, made no counter-offers, and instead launched his terror war. Both Barak and Clinton insisted that any agreement be explicitly recognized by all parties as permanently ending the conflict, and Arafat was unprepared to do so, to even present the appearance of foregoing future claims on Israeli territory and ultimately achieving annihilation of the Jewish state. Abbas has demonstrated - in his determined avoidance of negotiations with Netanyahu, and in his rejecting of former Prime Minister Olmert’s proposals in 2008, again without presenting a counter-offer - that he is no more prepared to come to an end-of-conflict agreement than his predecessor and friend Arafat. Only the willfully self-deluding or incorrigibly biased could think otherwise. In contrast to Abbas’s policy of circumventing negotiations and seeking to advance Palestinian statehood without dealing with Israel - via, for example, UN recognition - Netanyahu has taken unprecedented steps to promote negotiations. This includes his ten-month suspension of construction in settlements. Previous prime ministers, including Yitzhak Rabin, had explicitly rejected any such suspension, and a cessation of construction was never part of the Oslo agreements or a precondition to any previous Israeli-Palestinian or other Israeli-Arab negotiations. Abbas’s response to Netanyahu’s move was to continue his refusal to talk until shortly before the ten-month suspension expired, then to demand an extension as a condition for continuing the talks. Clinton is silent about all of this. Clinton contrasts Netanyahu to Rabin and insists he wishes to see Rabin’s vision of peace realized. In a New York Times op-ed commemorating the fifteenth anniversary of the prime minister’s assassination and entitled "Finish Rabin’s Work" (November 3, 2010), the former president declares, "Since his death, not a week has gone by that I have not missed him. I loved him... I continue to believe that, had he lived, within three years we would have had a comprehensive agreement between the Israelis and Palestinians... Rabin’s spirit continues to light the path, but we must all decide to take it." "The borders of the State of Israel, during the permanent solution, will be beyond the lines which existed before the Six Day War. We will not return to the 4 June 1967 lines. "A. First and foremost, united Jerusalem, which will include both Ma'ale Adumim and Givat Ze'ev -- as the capital of Israel, under Israeli sovereignty, while preserving the rights of the members of the other faiths, Christianity and Islam, to freedom of access and freedom of worship in their holy places, according to the customs of their faiths. "B. The security border of the State of Israel will be located in the Jordan Valley, in the broadest meaning of that term. "C. Changes which will include the addition of Gush Etzion, Efrat, Beitar and other communities, most of which are in the area east of what was the ‘Green Line,' prior to the Six Day War. "D. The establishment of blocs of settlements in Judea and Samaria..."
While Rabin believed Israel could gain in the Oslo negotiations agreement to the defensible borders Israel requires, there were many in his government, and in the population more broadly, who convinced themselves Israel no longer needed defensible borders. They ignored what Arafat and the PA were saying to their own people, in their media, mosques and schools, about their ultimate goal remaining Israel’s destruction. 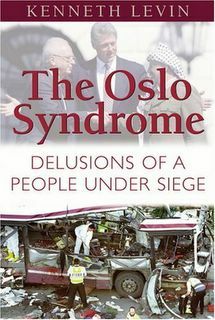 They ignored as well the involvement of Arafat and his minions in the dramatic increase in terror that marked the initial years of Oslo. They ignored the threats beyond Arafat and the PA. They convinced themselves that Israel did not require defensible borders because in the coming era of "peace" there would be nobody against whom they would need to defend themselves. Those who embraced these Oslo-era delusions included many current and former high-ranking IDF officers, among them - to no small degree - Ehud Barak. Barak had earlier initiated and presided over Israel’s full withdrawal from its long-held "security zone" in southern Lebanon. One could muster good arguments in favor of Israel’s withdrawal, but what is noteworthy is that Barak failed to secure the handover of Israeli positions close to the border to UN or other international forces, even though there were opportunities to arrange such a handover. He allowed Hezbollah to move into those positions. He did so apparently convinced that - as various Israeli leaders claimed at the time, based on little but wishful thinking - with Israel’s full withdrawal Hezbollah would dismantle its military wing and become a purely political party focused on competing in the Lebanese political arena. Barak’s territorial concessions at Camp David were a dramatic departure from Rabin’s vision and also from all earlier Labor Party platforms concerning territorial compromise. President Clinton responded positively to Barak’s position and, in the face of Arafat’s rejection, advocated additional Israeli concessions. The self-destructive delusions that underlay many Israelis’ embrace of the Oslo process and pursuit of an imaginary peace via dangerous concessions were of Israel’s own making and cannot be blamed on Clinton. But he can be faulted for his willingness to play Dr. Kevorkian to those Israelis’ suicidal delusions. The terror war launched by Arafat in the wake of Camp David left, in the ensuing several years, close to a thousand Israelis dead and thousands more horribly maimed. The carnage choreographed by the nation’s "peace partner" awakened many Israelis from their Oslo reveries. The events that have followed from Israel’s complete withdrawal from Gaza in 2005 - the dramatic increase in attacks on Israel from Gazan territory, and still further escalation in rocket and mortar bombardment and other assaults following Hamas’s seizing control of Gaza - have led yet more Israelis to abandon their long-held wishful fantasies. The 2006 war with Lebanon triggered by murderous Hezbollah incursions also figured in an awakening for some. Yet there are Israelis who remain convinced - despite all evidence to the contrary; despite everything the other side says and does - that sufficient Israeli concessions will win peace, indeed a peace that will render defensible borders unnecessary. Ehud Olmert is among them. In 2005, as vice prime minister, Olmert assured Israelis that the impending withdrawal from Gaza would result in a dramatic decrease in the violence emanating from Gaza. In 2008, apparently unfazed by his prognostic deficiencies vis-a-vis Gaza, he offered Abbas even more concessions regarding the West Bank and Jerusalem than Barak had offered Arafat. Abbas, contrary to Clinton’s gloss, turned his back on them, again not wanting to enter into any accord, whatever the Israeli concessions, that entailed Palestinian agreement to an end of the conflict. Clinton, too, has not been moved by events since 2000 to change his views on the desirability of Israel’s returning essentially to its pre-1967 armistice lines. What accounts for his persistent cavalier attitude regarding Israel’s security, and his rejection of Rabin’s parameters for defensible borders, even as he repeats his devotion to Rabin’s vision and urges continuation on Rabin’s path? Part of the answer may be that those Israelis he is closest to are among the ever-dwindling minority that remains enamored of the delusions of Oslo. The American Jews he is closest to seem also to be largely dedicated believers in those delusions. In addition, ego appears to play a prominent role in Clinton’s stance. In his September comments in which he, absurdly, tars Netanyahu as the obstacle to peace, he refers to the proposals made in 2000 and rejected by Arafat - as "my deal" and "the deal I put together." His continued pushing for an agreement along the lines offered then seems to reflect in part his wish to see consummation of a deal he can construe as a jewel of his legacy. But that deal, as is obvious now to a great majority of Israelis, would entail unacceptable, unconscionable existential risks for the Jewish state. Clinton ignores this reality, whitewashes Palestinian rejectionism and ongoing dedication to Israel’s destruction, labels Netanyahu and those Israelis who share his concerns as the barrier to a settlement of the conflict, and dismisses Israel’s need for and right to defensible borders. His doing so demonstrates that, for all his averments to the contrary, he is no friend of Rabin, and no true friend of Israel.